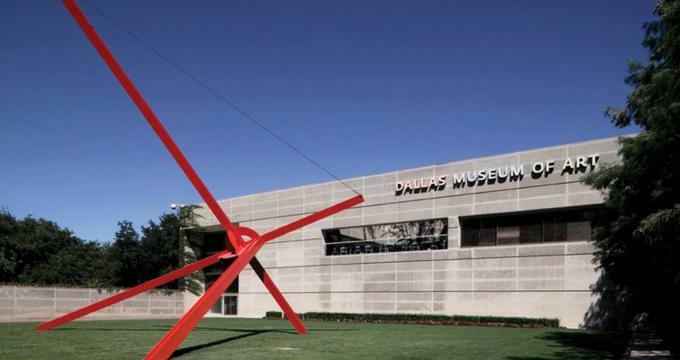 The Dallas Museum of Art (DMA) is a premium art museum set in Dallas’ downtown Arts District that is dedicated to showcasing a variety of art from around the world ranging from ancient to modern times. The Museum features a collection of more than 24,000 objects, dating back to the third millennium, as well as changing exhibitions, and award-winning educational programs. Designed by Edward Larrabee Barnes, the Museum is also home to the Mildred R. and Frederick M. Mayer Library which contains more than 50,000 volumes that are accessible to both curators and the general public. 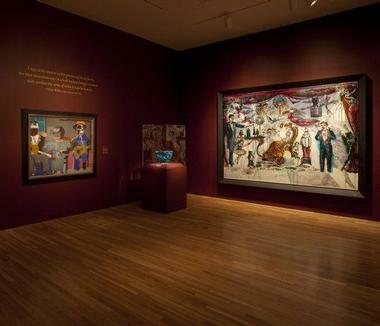 The mission of The Dallas Museum of Art is to be both a trusted advocate and a responsible steward of the cultural heritage and the essential place of art in society today. The museum's collections feature more than 24,000 works of art from around the world ranging from ancient to modern times and focusing on the celebration of the human power of creation. Collections include art from Africa, Asia, and the Americas, as well as the Mediterranean, Pacific Rim, contemporary, and European works. The African collection showcases pieces from Central and West Africa dating back to the 16th to the 20th centuries, including a Nigerian Nok terracotta bust from 200 BC. Other works include symbols of leadership and status, as well as concepts related to the cycle of life, including a ritually embedded standing power figure from Congo and a copper alloy plaque depicting a warrior chief from Benin. The American collection features a range of paintings, sculptures, and works on paper from the colonial period to World War II, as well as art from Canada and Mexico. Highlights include Lighthouse Hill (1927) by Edward Hopper, Georgia O’Keeffe’s Bare Tree Trunks with Snow (1946), and one of the most important pieces in the Museum, The Icebergs (1861) by Frederic Edwin Church. The Museum also has a vast collection of Texan art, including works by Alexandre Hogue, Robert and Julia Onderdonk, Dorothy Austin, and David Bates. 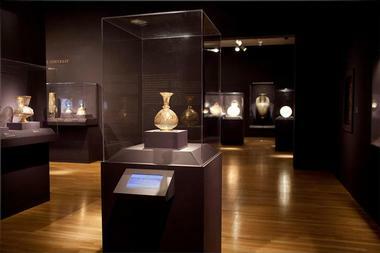 The Ancient Mediterranean collection of art includes Egyptian, Cycladic, Etruscan, Roman, Etruscan, Greek, and Apulian objects. Highlights of the ancient Roman collection include by a sarcophagus carved in marble from c. 190 AD and the Greek collection showcases bronze sculptures, gold jewelry, and decorative objects. The museum’s collections of South Asian art features a range of Buddhist art, art from the Mughal Empire and striking pieces from Tibet, Thailand and Nepal. The Contemporary collection includes works covering a range of genres from Abstract Expressionism to Pop Art and Minimalism and includes works by Jackson Pollock, Jasper John, Mark Rothko, Robert Smithson, and Franz Kline. Photography includes pieces by Nic Nicosia, Lynn Davis and Cindy Sherman, and a keen interest in contemporary German work showcases work by Sigmar Polke, Gerhard Richter, and Anselm Kiefer. The Decorative Arts And Design collection is expansive and features over 8,000 works from America and Europe across a variety of materials, including textiles, furniture, glass, ceramics, and metalware dating back to the 16th-century. Highlights of the collection include 17th-century Chinese porcelain, American 18th-century furniture, and a world-renowned silver collection from the 19th century with pieces by Tiffany & Co., and Reed and Barton. Other stunning pieces in the collection include 16th-century Spanish textiles, a Gothic Revival bed from 1844 made for Henry Clay, an 1899 solid silver dressing table, and early modern designs by Frank Lloyd Wright, Gustav Stickley, and Zaha Hadid. The collection of European art features works dating back to the 16th century and includes works by famous artists such as Canaletto, Paolini, Monet, Courbet, and Gauguin. Highlights of the collection include 18th-century works by Canaletto such as A View from the Fondamenta Nuova, 1772, and The Abduction of Europa, 1750 by Jean-Baptiste Marie Pierre. Nineteenth –century works include Fox in the Snow (1860) by Gustav Courbet, I Raro te Oviri (1891) by Paul Gauguin and The Seine at Lavacourt (1880) by Claude Monet. The Dallas Museum of Art has significant holdings of ancient American art, specifically from the Pre-Columbian period and the Pacific Rim that dates back more than three millennia. This unique collection includes sculptures, terracotta, prints, and gold objects and includes striking pieces such as the Head of the Mexican god Tlaloc dating back to the 14th century, as well as gold objects from Colombia and Peru. 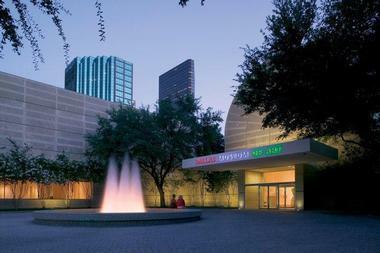 The Dallas Museum of Art is located at 1717 N Harwood Street in Dallas and is open Tuesday through Sunday from 11:00 am to 5:00 pm. Visitors can park and ride the DART train to the St. Paul Station and walk to the Museum’s Ross Avenue entrance for ease of congestion and parking. The DMA offers free docent-led guided tours through the Museum every Saturday at 2:00 pm where visitors can explore and learn more about the collections. Private guided tours are also available for groups of 10 or more and cost an additional fee. The DMA also features a Gift Store that sells books and catalogs, print and stationery products, jewelry, gifts and other souvenirs inspired by the Museum’s collection. There are also two cafés that serve casual cuisine and drinks in a pleasant setting. 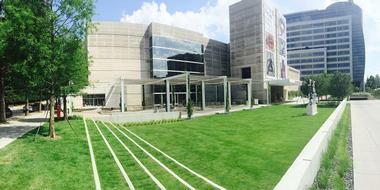 The DMA Café can be found in the Hamon Atrium at the Museum’s North Entrance, and Socca Mediterranean Café is situated in the Eagle Family Plaza and offers a delicious alfresco menu.